A Weekend of Runs, Fun, and Good Eats! The older sister left to go back to college yesterday afternoon, so we spent Friday evening/night as a family…which meant a delicious dinner of gnocchi (zoodles for me!) 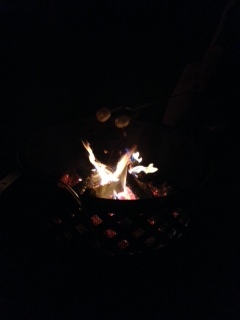 + sausage + sauce with fresh basil AND a fire and s’mores later. 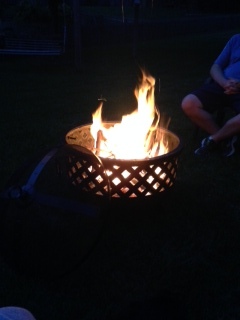 Perfect summer night! 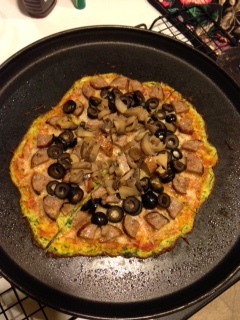 Zucchini crust + sauce + a little bit of shredded mozzarella + leftover sausage + olives + mushrooms = perfection. 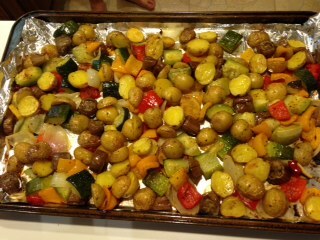 Baby golden potatoes + pixie eggplant + onion + pepper + zucchini (What did I tell you? ALL the zukes. In everything.) 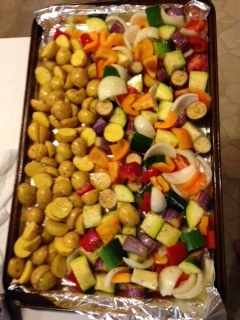 tossed in olive oil and a little bit of sea salt. So good!! While we’re still talking about food, I have discovered that Larabars are fantastic. 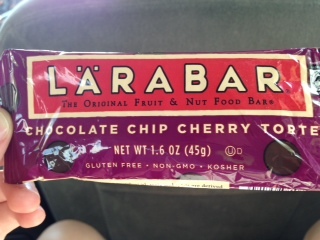 Where have you been all my life, Larabar? I loved this flavor and I have a Peanut Butter & Jelly one sitting upstairs that will probably be eaten tomorrow. Oh, and I ordered 16-packs of three different flavors today to take back to school with me. Needless to say, I was immediately sold! …And I finally tried out a new breakfast recipe that I have seen floating around on the internet for a while. 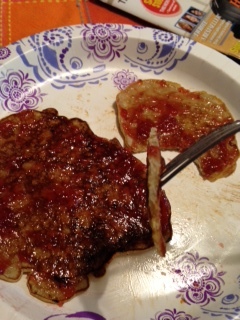 I was pretty skeptical about it because it seemed too easy, but I tried it out…BANANA PANCAKES! So much good food this weekend! 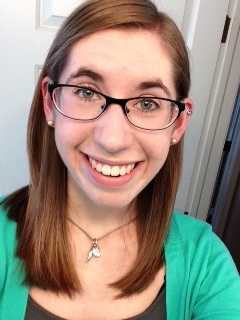 …But I promise I do other things besides eating…like running! Tell me about your weekend! What did you do?